project envisioned by Chinyere of Island Groove to spread the message of love and unity in diversity. Soul Movement is allowing pure spontaneous energy to flow through your body as conduit from deep within your soul, manifesting in any physical movement through the art of surrendering the ego's judgments. Michelle is honored to have danced a part in We R One, free-flowing as a channel of love among a team of inspired artists collaborating through Soul Movement. Enjoy 4 minutes of guided mindfulness practice, exploring steady breath with Michelle Chua. Read our May 2017 feature on Voyage LA Magazine here. In 2013, Michelle Chua responds to Yoga Alliance's question for yoga business owners: How does your business benefit the greater good? Watch free short yoga videos on Vimeo here, and practice with Michelle anywhere and anytime. 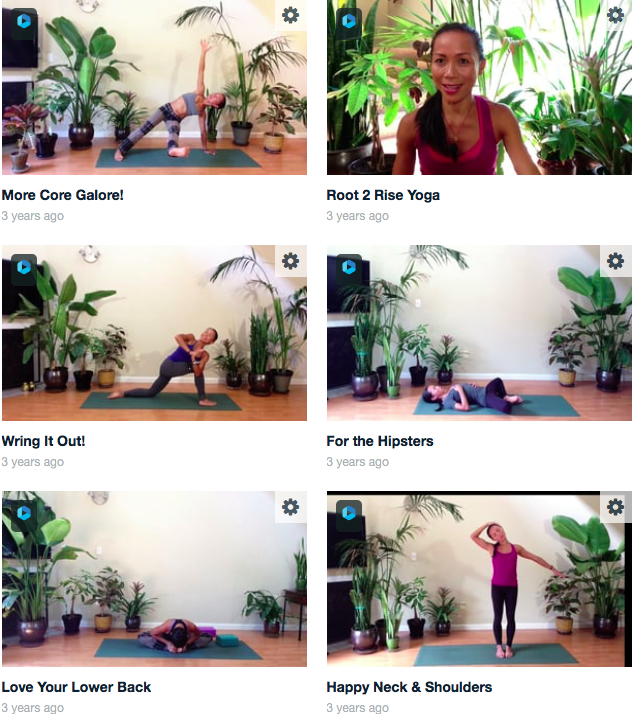 Or, subscribe to Root 2 Rise Yoga's You-Tube channel here for short free yoga videos. Need a restorative cooling practice to balance your busy day? Here's a short breath and posture tutorial reviewing a bit of our Cooling Yoga workshop Michelle co-taught at North Valley Aikikai studio in Northridge, California in June 2015. 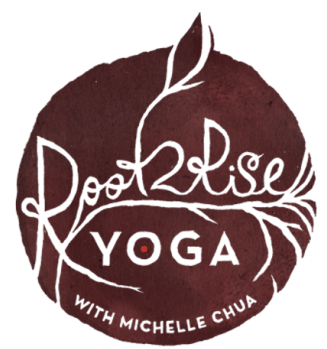 (See free Root 2 Rise Yoga yoga and meditation videos on YouTube or Vimeo, or schedule a personalized private or small-group live or pre-reordered online session with Michelle here. Athleta's national "Power of She" campaign promotes community among wellness-minded women who stand together to uplift, inspire and support each other in leading an active positive lifestyle. 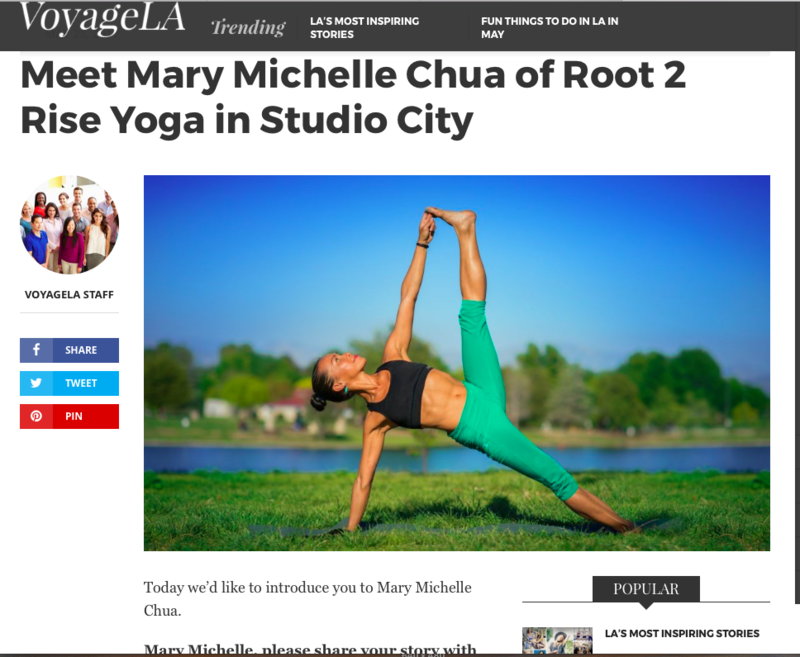 Michelle Chua was selected among several candidates as a community active-lifestyle leader to represent Athleta Sherman Oaks in their "Power of She" campaign. Read Athleta's Chi Blog here featuring Michelle and other ambassadors sharing their story of why they practice yoga. For the full narrative, check out our blog here. Check out Michelle's article, 5 Ways to Uplift Your Mood with Gratitude in LA Yoga's November 2015 issue. Broke Girls Guide featured Michelle's article, "How to Practice Yoga at Home," on a budget. Read about her tips here. Wing Chun Life featured Michelle's article, "Yoga for Martial Artists," on integrating yoga into your martial arts practice. Read about her article here.